Most people wouldn’t leave a car sitting for half the year without keeping it maintained, but many people do it with their HVAC system on a yearly basis. Your furnace sits all summer without use or even maintenance. So when winter arrives, the furnace grunts, groans, smells bad and possibly will not even work. As the days start getting shorter and the nights cooler, it is time to get that maintenance you’ve been putting off. 1. Clean or Replace the Filter – The absolute simplest way to keep your HVAC in tip-top shape is maintaining the filters. If you have a reusable filter, clean it. If not, replace it. Generally you will want to do this every three months or so. This will prime your system for winter and may help reduce fall allergies. 2. Check the Blower – The blower belt is one of the most common HVAC pieces to break or wear out on a unit. Check and see if the belt is dried or frayed. Additionally, adding a drop of oil to your blower motor can keep things running smoothly. 3. Check the Blower Doors – While you’re working on the blower, examine the doors to make sure they are sealed. This can help you make certain that the HVAC unit is not allowing combustion gasses (such as carbon monoxide) to enter your home. Regularly check this seal and have it replaced if you see any issues. 4. Check Your Vents – If your vents are blocked or clogged, you won’t get the flow of air you need to properly heat the house. Do a room by room check of all vents. Move any furniture, curtains or rugs that block the vents and while you’re at it, vacuum the vents to make sure that there are no clogs. 5. Check Your Exhaust – There should be an exhaust flue that allows air to flow outside. Make sure there are no obstructions at that this is in good condition. The roof cap should have all connections securely fastened. Keeping the combustible gasses out of your home will keep your family safe and healthy. 6. Move Flammable Objects – Check your furnace unit and make sure no flammable objects have been stored nearby. These objects can be very dangerous when the temperature is turned up on the furnace. 7. 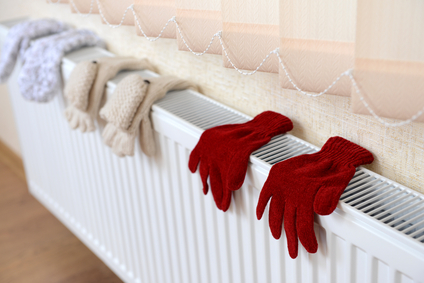 Turn it On – Instead of waiting for a cold winter night to turn on your HVAC unit, turn it on now. By doing this you’ll see if there are any problems that need to be repaired and you’ll get rid of the unpleasant smell right now instead of waiting. The best thing you can do for your HVAC unit is to have an expert take care of the maintenance for you. Call the team at A. Borrelli Residential and Commercial HVAC service today. Our maintenance services will help you get the best from your system—today and into the future.